Take a close look at the Marcel Breuer designed buildings in Collegeville and you’ll see a reoccurring shape: hexagons. They are everywhere. 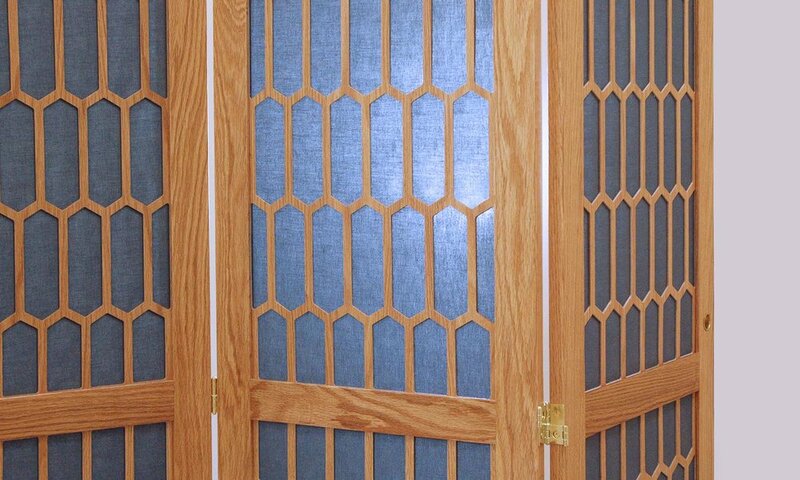 This geometric theme even found its way into the wooden doors of the chapel at the Collegeville Institute. 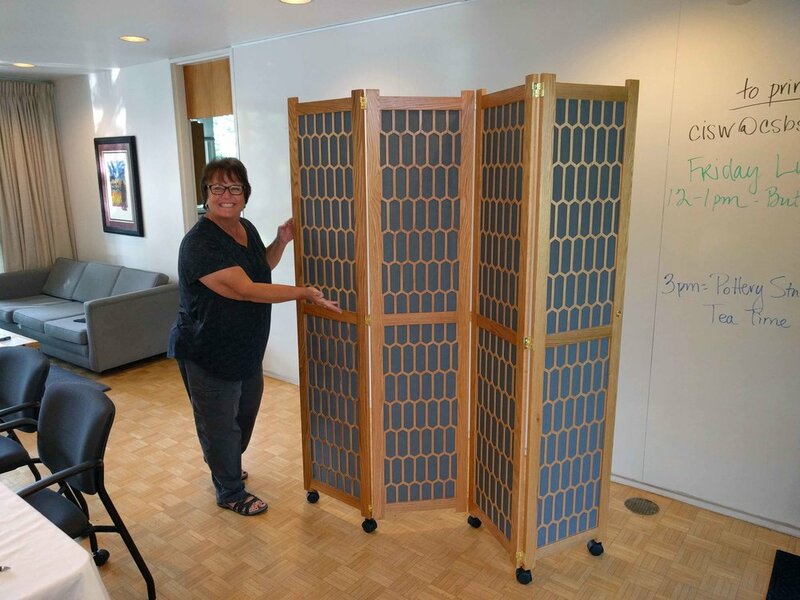 These doors were the inspiration for two sets of screens that we recently completed for the Collegeville Institute. 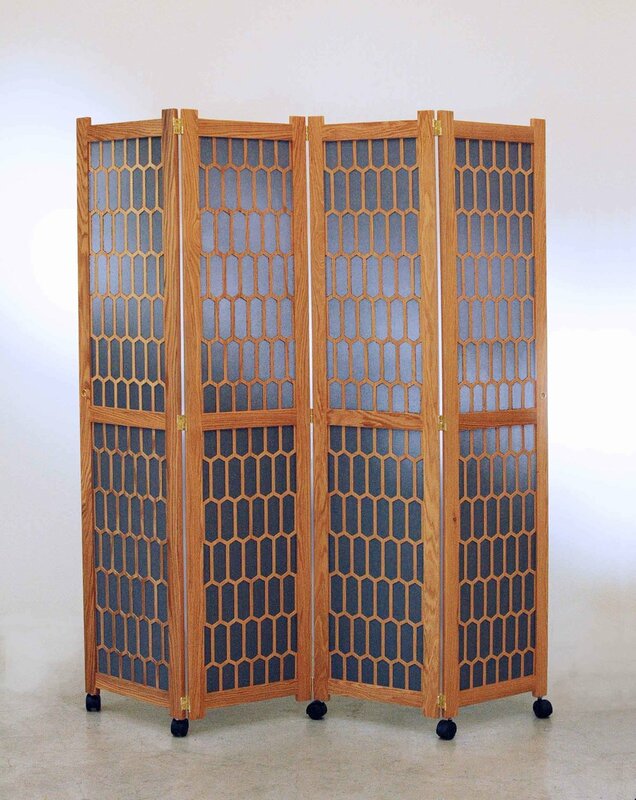 These screens needed to do a few things: be lightweight, transportable, durable, partially transparent, and match the hexagonal pattern of the existing chapel doors. 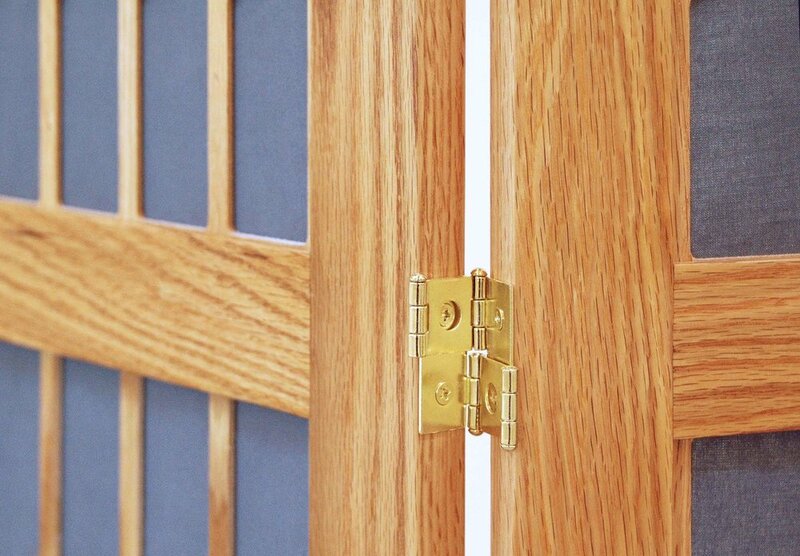 For durability, the frames of each panel were made out of solid Red Oak utilizing mortise and tennon joinery. They were then routed to fit the panels. 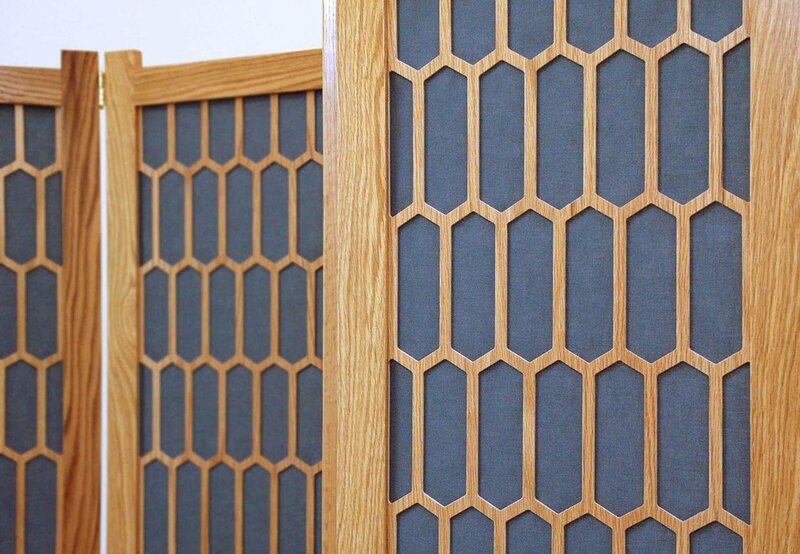 To recreate the hexagonal pattern, we used a CNC router to cut the panels. This was our first project with a CNC router so many thanks to Wally Becker in Avon, MN for his expertise in cutting the 32 panels. These panels were then bonded to both sides of the semi-transparent grey cloth and routed into the frame. Placed on wheels these screens are made to be moved, but we told that the staff at the Collegeville Institute likes them so much that they just may keep them out all the time.